This book has literally sold more copies worldwide than any other–except the Bible. It is one of the most influential books of all time and certainly one of the best Christian books of all time! As an example of its profound influence, the Prince of Preachers, Charles Spurgeon, read it over 100 times. The book is an allegory of the Christian life and if you’ve never read it, you should! Download it today while it’s still FREE! Download it Free TODAY ONLY (7/7)! Often rated second in importance to the Bible as a Christian document, this famous story of man’s progress through life in search of salvation remains one of the most entertaining allegories of faith ever written. Set against realistic backdrops of town and country, the powerful drama of the pilgrim’s trials and temptations follows him in his harrowing journey to the Celestial City. Along a road filled with monsters and spiritual terrors, Christian confronts such emblematic characters as Worldly Wiseman, Giant Despair, Talkative, Ignorance, and the demons of the Valley of the Shadow of Death. But he is also joined by Hopeful and Faithful. 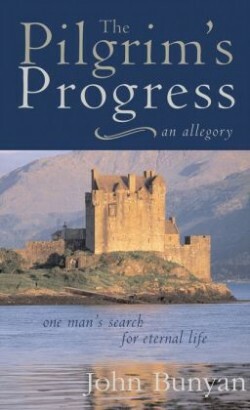 An enormously influential seventeenth-century classic, universally known for its simplicity, vigor, and beauty of language, The Pilgrim’s Progress remains one of the most widely read books in the English language.